In a recent post on the Nine Inch Nails forum, Trent Reznor advises unknown artists how to better utilize the Internet and new media to promote themselves. He has some great thoughts that apply to most organizations, even if they have nothing to do with the music industry. Below are his 14 points and how they might apply to your company. MySpace is the social network of choice for musicians. For your organization, a strong LinkedIn community or a well-developed Facebook page may be the more appropriate route. Have a presence on the social networks that best suit your organization and cliental. For most companies, having their own website is a no-brainer. But is it time for an upgrade? It's very easy to set up an easily navigated and fully functional Facebook or LinkedIn page. But does your site match that functionality? Do you have the ability to update your own content? Can you host your own blog or are you depending on a WordPress or Blogspot template? Oftentimes, a yourcompany.blogspot.com URL looks both cheap and generic. Reznor probably had page-loading times in mind when he made this point but in addition to taking longer to load, Flash-based websites are more difficult to navigate and are terrible for Search Engine Optimization. Your company is probably looking to better its search engine rankings and a Flash based site is seriously going to impede that progress. Make it simple to navigate and easy to find and hear music (but don't autoplay). The purpose of a website is to communicate the benfits of your product or service online as clearly as possible. Highlighting your selling points through relevant menubars and sidebars is a must. Make what you want the public to see easy to find and do it elegantly. Don't punish the public for coming to your site by autoplaying music or videos. And don't have intrusive pop-ups. You want people to enjoy visiting your site. Reward them for stopping by! Constantly update your site with content - pictures, blogs, whatever. Give people a reason to return to your site all the time. You don't want people to go to your site once and never come back. Update your blog consistently. Besides providing new value to people viewing your site, the more content you have, the more high-ranking keywords you'll have on search engines. Keep an up-to-date news and events section and let the public know what your organization is doing! Allow the people who come to your site to interact with each other. Whether that's through a bulletin board or through comments on your blog. When someone comments on your blog, respond to that person, check out her site, follow her on Twitter, and learn about the people who care about your organization. Provide RSS feeds for your blog. DM your Twitter followers. Organize an email database of people who have asked to hear updates from you and let them know when something new and exciting is happening. But don't abuse their trust and turn your updates into spam. Make cheap videos. Film yourself talking. Play shows. The Internet in 2009 is about more than just text. Create videos to explain your service. Have a YouTube channel to house those videos. Film interviews that your audience would find entertaining and interesting. While you probably won't be playing a local gig to promote your organization, get involved in your community. Improve your relationship with the people you're closest to. Make something people will talk about. Word of mouth is one of the most effective forms of marketing. Produce a clever YouTube video, write a controversial blog post, design a truly unique product. Whatever it is, make it remarkable. Twitter is a great tool for businesses with a variety of uses. Get in on the conversation. Start engaging with people who are talking about you and update your followers about new blog posts, upcoming events, and interesting and relevant links. Look at how Reznor is using Twitter. Everyone in your organization is an individual with his own life, interests and personality. Show that individuality and make your organization more 'human'. Write blog posts in a conversational tone and tweet about what you are doing in addition to what your company is doing. Submit your music to blogs that may be interested. For you, it's probably not music. But you should be submitting your best blog posts on Reddit, Digg, and whatever other interesting-article-aggregator is relevant to your organization. Did a major blogger write a recent post that directly relates to something you've already written? Comment on her post and link to the article you wrote. Blogs are most powerful when they form a community. Do your part to get involved in that community. Be original. Write about something no one's written about before. Take a gamble. Be ahead of the curve. 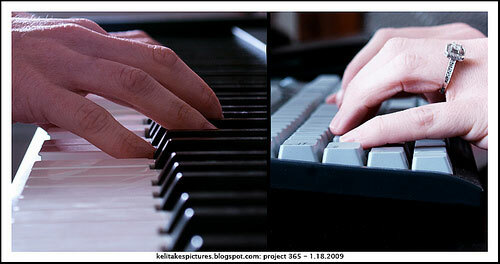 Utilize the multitude of tools available to you for very little cost if any - Flickr/YouTube/Vimeo/SoundCloud/Twitter etc. You probably won't get much from SoundCloud but what about Google Docs, CampFire, Yammer, Remember the Milk or any of the other thousands of tools out there? They're cheap (or free) so why not take advantage of them? Spend a few minutes searching Google and see what your company isn't using that could be a big help. "If you don't know anything about new media or how people communicate these days, none of this will work. The role of an independent musician these days requires a mastery of first hand use of these tools. If you don't get it - find someone who does to do this for you." Before you try immersing your company in these new media technologies, check them out for yourself and get acclimated. And if you need help understanding or implementing and of these tips, drop us a line and we'd love to help out. How else do these tips relate to your company? Are you already practicing any of this? Do tell! Those are great tips. I've always admired Trent Reznor, he is a genious.